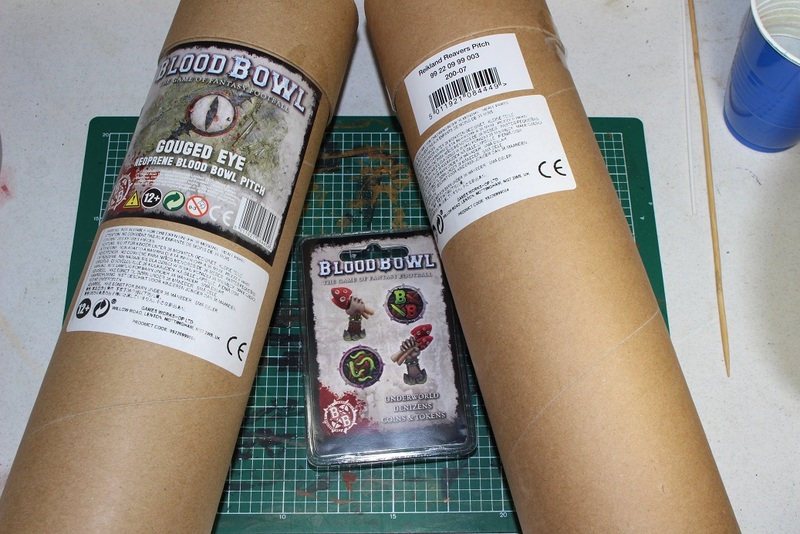 Neoprene Blood Bowl Pitches Have Arrived! That’s right… After two false starts, the first two official neoprene for Blood Bowl are finally here. First we had an advertisement in an issue of White Dwarf stating that at the time of the release of the issue, the Reikland Reavers neoprene pitch would be already available for order, only to find no pitch available for order, and the advert removed from the digital edition of White Dwarf. Then, months later, we had the Gouged Eye pitch that actually went up for pre-order, only to have all open orders cancelled a week later.